Mustard's Retreat – Page 3 – "Music to cure what ails you"
Most of you know of our abiding love and connection with Flint MI. This song and video are among the things we are doing to try and help: maybe if enough people share it will get the politicians to do their jobs. Thank you. Download the song for free! Right Click (PC) or Ctrl Click (Mac) on link below. 🙂 And here we go!! Happy 2016. Another year round the sun! I was just pulling weeds 2 days ago, out in my yard. I got up yesterday, and thought I would do it again…but it was snowing and the temperature was 25 degrees. Well, I guess Fall is done here in southern Michigan! But, at least to me, it feels like Spring is just over the horizon …now that we are in January…at least you can almost see it from here. Isn’t this the Month of the Seed Catalogs?? Last weekend’s Flint Folk Festival was a moment to remember. The pavilion filled quickly for Hayley Reardon’s set. Just out of high school (! ), Hayley is already a seasoned professional: self assured on stage…the crowd loved her. Then Don White and Christine Lavin performed 🙂 Hilarious, quirky, poignant…3 standing ovations throughout their set plus a standing ovation when it was over!!!!!! There is really nothing else like them out there. It was great to see and hear former Flintite Dan Hall again. He is doing amazing and important work: writing songs with kids in schools. He has a series of recordings in the works featuring them…can’t wait…I expect they will win awards. James Taylor’s sister Kate was next. What joy she had as she performed! 🙂 which is really what its all about…where you are and what you bring to the stage…and she brought it all. A very nice article by Robert Reid of the Waterloo Region Record in advance of our 2/14 2015 show in Kitchener, ON!! 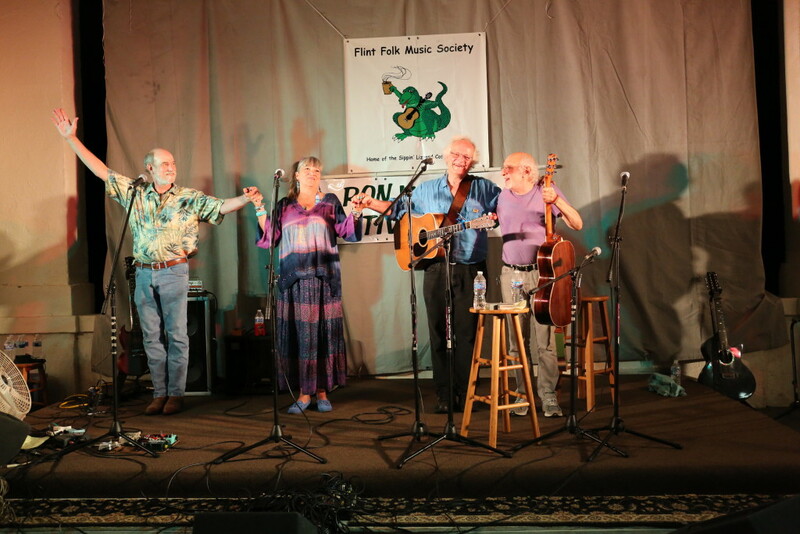 “Few individuals have done more for acoustic music in the last 40 years than David Tamulevich. I know this is a large claim for a person most people don’t recognize. But hear me out. Tamulevich has been performing with Michael Hough since 1974, when the two students met in the Michigan university town of Ann Arbor. A year later they formed Mustard’s Retreat. They debut at Folk Night at the Registry on Saturday.